Community organizer of 7.6 billion. Why should devotees of Adi Da make and do the Global Cooperative Forum? Being a devotee of Adi Da Samraj. 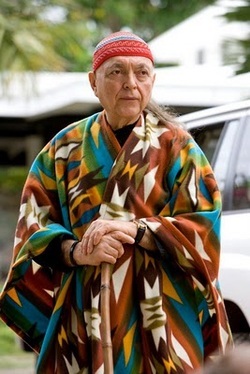 I first found out about Adi Da Samraj when I was going to college at UC Berkeley in the early 80's. I had an awakened interest in all matters of God, spirituality, meditation and consciousness. I used to go to a spiritual bookstore near the UC Berkeley campus that had pictures of all these Enlightened Masters from various faiths and traditions displayed on the high walls above the bookshelves. I always loved being in that store in the presence of those pictures of "Godmen" and "Godwomen". It was at this store one day when I came across a copy of a magazine called the Laughing Man. the intuitive feeling that my search was over. The Great One Is here, and (at that time) He was alive in the body and I could potentially see Him now! He was living up in Northern California at a Sanctuary called the Mountain of Attention. He was accepting devotees, but only if they took a vow, with a long list of disciplines, totally surrendering their life to the Guru. But in my early twenties, I was not ready to give up my life to Him. I also was carrying my unresolved childhood wounds and issues that would take me fifteen years of work and healing to resolve. These issues and the therapy required became so demanding for some years I didn’t have the free attention to give to the Guru. But ever since I saw that first Laughing Man magazine, I have read everything I could get my hands on by Adi Da, including the first books I read, like The Method of the Siddhas, Garbage and the Goddess, Easy Death, The Eating Gorilla Comes in Peace, Scientific Proof of the Existence of God will be announced by the Whitehouse, and The Transmission of Doubt, and more. I always stayed in touch with Adi Da through His books. And during that time I was also struggling with His writing; I resisted some of it, especially the constant “Turn to Me” aspect. Something in me was not ready for ultimate surrender. But I knew where it was going to be when I was ready. I was also determined to be a successful artist with my band and songwriting, which was a very daunting task given the high standards of the great songs and great singers of rock and roll. Catching up to my heroes took many years; in fact it was fifteen years from when I started the band to when I first saw Adi Da in person in 2001. At that point in my life, I had done heroic amounts of healing and therapy and meditation and writing, and had resolved most of the pressing issues of childhood, but was having a rough time with the issues of adulthood. In spite of all my work, adult responsibility confronted me with worries about mortality, health and finances that I could never get free of. I was confronted with constant guilt about not doing enough work for my band, for my intimate partner, for the painter Warner Williams, and for saving the world. And I was fearful and contracted, identified with life and death, and somehow a cog in the big guilty enterprise of the death culture that the human race was perpetrating against itself. This is how it was for me in 2001, when I got the most miraculous phone call of my life. A very dear friend of mine, named Mark Comings, called me in the late Spring of 2001 and told me that Adi Da was now a publicly known Artist, and He is showing His Art at the Mountain of Attention Sanctuary, and He wants people who are connected to the Art World to come up to the Sanctuary immediately to see His Art and provide a written response to it. I was one of those people because of my work as artist agent for oil painter Warner Williams. And those people could get to see Adi Da in person, to sit with Him in Darshan (sighting of the Guru). Did I want to come up? The Great Love of all my lifetimes.